How to classify a book like this one? It's something of a quandary. It's not historical fiction, though it takes place at the same time as a number of notable twentieth century events like World War 2, and Vietnam, but it's also not a science fiction novel, despite involving a form of time travel. Part counter-factual history, part spy thriller a la James Bond, complete with top secret research facilities behind the Iron Curtain, The First Fifteen Lives of Harry August avoids categorisation by being many things at once, and I think because this has been done so well, it would be safe to say regardless of genre, the book will be a best seller. But while this is 'Claire North's' first book, it's not the author's. It appears, from an obscure author's note tucked away at the end of the book, that the creator of Harry August is no stranger to bestseller's lists. "Claire North is a pseudonym for an acclaimed British author who has previously published several novels. This book is completely different from any of them." So says the author's note, and so began my extremely close reading of this book in an effort to be the person to unmask Claire North. Harry August belongs to a group of people known as kalachakra or ouroborans, people who relive their lives over and over in an infinite loop. They retain knowledge from their previous lives, but under the watch of the Cronus Club, an organisation set up to help kalachakra, they agree it would be unethical to change the course of history. But when a message is delivered to Harry August on his deathbed by a six or seven year old girl, he realises that someone is not playing by the rules. The end of the world is coming. It comes earlier and earlier in every life. This message has been passed down through the generations, from child to dying old man. Something must be done. And so, Harry sets out to discover the source of the problem, following anachronistic technological discoveries throughout the world... but as the perpetrator is also an ouroboran, can he be stopped? I love this idea; it's fresh, it's intelligent, and it requires the reader to do just a little bit of thinking as well, to wrap their heads around some of the concepts. Think of the book as a cross between a Tom Clancy novel, an Ian McEwan, and The Time Traveller's Wife. (In fact, I am even wondering if the author could BE Ian McEwan...) 'North' writes with simple, pared back prose, but puts you completely in the moment, allowing the reader to feel what Harry is feeling and see what he's seeing. As a narrator, Harry is compelling and imperfect, but his motivations are always clear. He has a tendency to ramble, and as parts of the story that occur in different lives are told out of chronological order (instead following a thematic pattern) he can sometimes be deliberately vague, but the lingering question mark doesn't hang like the sword of Damocles for too long. However, I am left wondering if the mystery of the author's identity kept me reading when the book became, quite markedly, more of a technological spy thriller at around about page 300. It's an important question to ask. I was frustrated by the numerous unfulfilled love interests Harry pursued, particularly given that barely any of these women were given voices of their own, including Akinleye, whose dual status as paramour and ouroboran made her a key figure in the unfolding of the plot. While she was present for a number of anecdotes, she rarely expressed her own opinions. I quite liked her and wanted to know more, but it was not to be. Likewise, Harry appeared tortured over losing his first love, Jenny, and there was a moment where several lives later, it seemed sure he would get her back, but the love story part of the plot was far less important than other aspects I suppose. 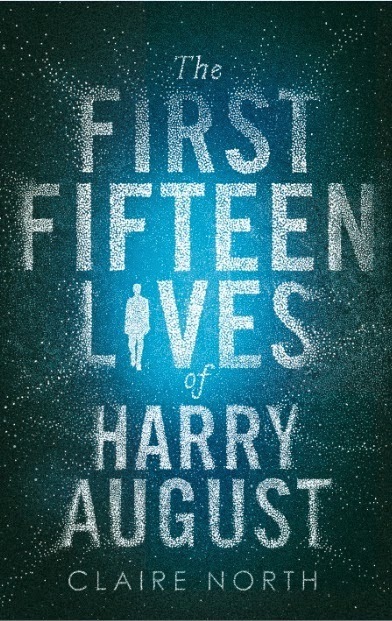 The First Fifteen Lives of Harry August is a compelling read, highly original and very intelligent, but only time will tell if it will be overshadowed by the mystery of its author's identity. Okay. I really really really want to drop everything and read this right now! Not only does the book sound fascinating, but the question of the author's identity is intriguing...and I can't resist a mystery! Great review!